Commercial fitouts Perth done in Perth by our Perth owned and managed Perth fitout company makes it our business to design, construct and install, new office workstations and office partitions Perth wide. A well designed professional looking office sends a message to visiting clients that this business is successful, professional and keeps up with the latest office technology. Our interior designer at our Perth office will design commercial property layouts based on your requirements and dimensions of your property in Perth. Office managers can select from optional fly-through office designs, such as materials, colour and style. Once a commercial property interior design is selected, construction of a new modular interior begins offsite in Perth. This reduces disruption to your business. On a quiet day, our skilled tradesmen install your new commercial property interior, including running of cables out of sight within office partitions and workstations. Commercial office partitions can be a combination of materials and fabrics. For example glass and low-cost MDF. Partitions can look like new floor to ceiling internal walls with the added advantage of them being 100% tax deductable. Once new commercial office non-permanent fixtures are in place, there is a range of office furniture to choose from such as boardroom tables, cabinets and office chairs which the Perth Partition Company can put into your commercial space. 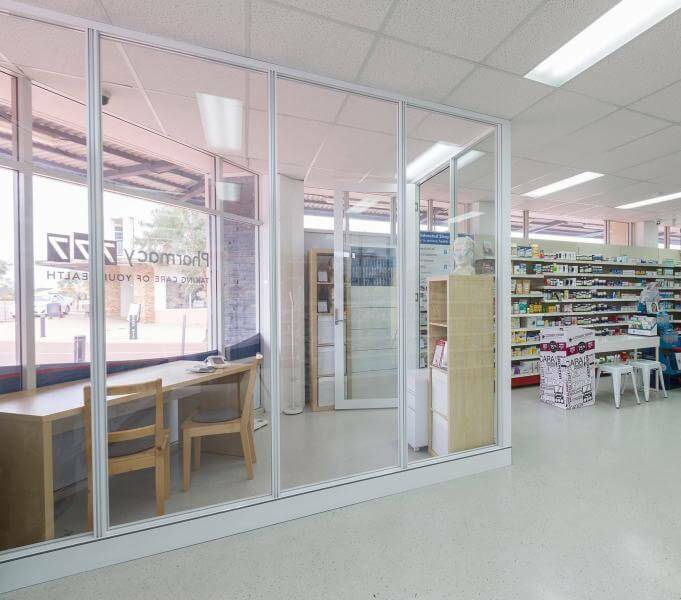 The Perth Partition Company also design, prefabricate and install new shop fitouts Perth wide. Display rooms/showrooms such as car dealer display rooms in Perth. We flat-pack partitions, workstations, etc for a professional looking DIY commercial fitout and then ship them Australia wide, with instructions for your tradies to assemble and install. If you’re renovating an office in Perth WA or setting up a new office in Perth and you want a ready, turn key office project ready to go for when your staff arrive, then phone the recommend, experienced skilled tradies, from the Perth Partition Company. If you want the best new commercial space interior makeover in Perth, phone Dave of the Perth Partition Company on (08) 6460 7332.